Over the past few weeks I have been working with a company, helping to improve their website and get them familiarized with using social media to increase their sales and visibility. After setting up a Facebook page, the owner asked me three specific questions. What is the main benefit of having a lot of “likes” on Facebook? How can I utilize Facebook for marketing? How can I advertise my Facebook page so others can find me? I thought these were excellent questions for any small business owner just starting out on Facebook to know. So I am sharing my email response, in the hopes that you find it helpful and it encourages you to jump on the Facebook bandwagon. Before the email, I have two quick points. 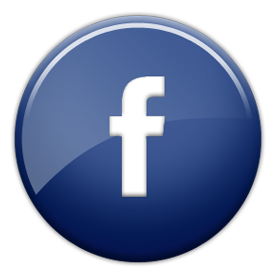 When creating a Facebook page for a business, make sure it is a fan page, not a personal page. Here is a very simple explanation as to the difference and why having a fan page is so important. To learn how to obtain your vanity URL, read here. The only rule is that you must have 25 “likes” before you can claim it. On to my email response. (The company sells shoes, but you probably would have figured that out. And just because the company asked, I changed what they sell. They don’t really sell shoes. The Facebook advice still applies). The main benefit of having lots of “likes” on Facebook is when you post something on your wall, it appears in all your fan’s news feeds. So if you have 30 friends and you post news on a sale, then 30 friends will see that. If you have 3,000 fans then 3,000 people will see it. Facebook is utilized for marketing in a lot of different ways by companies. But I think it primarily works best when companies use it to forge a community. So instead of just posting about you, make it about those people who are your fans. Use it to ask questions, what is your favorite boot we make and why? Or hold a contest, everyone who responds to this posting with the top five reasons they love their boots will be entered in a drawing. It’s really a great way to communicate with potential customers and have a conversation with them. Also, it’s basically having your current customers write reviews on your Facebook page, which is a fantastic way to get potential customers to buy. The best way to get more fans is to have a link from your website to Facebook. You can add the Like button to your website with just a bit of code. There are many tutorials on the Web explaining how to do this: here and here are just two. You can also advertise on Facebook. They have some inexpensive ads. All you have to do is go to the Facebook ad section: http://www.facebook.com/adsmarketing/ and create an ad. Facebook will set it up for you. Also, remember it doesn’t always have to be about shoes. So you could say something like, it’s Friday, our favorite day of the week because it means new movie day! Let us know what your favorite movie of all time is, ours is You’ve Got Mail and has been since 1998 because Meg Ryan wore a pair of our shoes in the first scene. Something like that. That will foster conversation, and keep you in the forefront of people’s minds. The more fans, the more conversation. Videos are super popular now too. You could take fans on a tour of your office or show people wearing your different shoes. You could do a shoe fashion show, have an employee model a pair of shoes with three different outfits. Look how versatile our product is! There are tons of ways to use Facebook, but it’s definitely the more fans, the more impact. Do you have a mailing list of all your customers? If so, you could do an email blast with a newsletter which is all about your business taking the leap into social media. And then encourage everyone to become a Facebook fan for prizes and deals. And again, putting the like button on your website is huge. There really are a lot of ways to market through Facebook, but my favorite is the community feel. So you don’t just pop up in the newsfeed when it’s about you, but you pop up to engage and converse with those who follow you. And that’s the end of it. I hope you were inspired to make Facebook work for your business. I’d love to hear if you use Facebook, and if so, how. And if you don’t, why not? Do I need to know HTML or other code to add this to my website. My website is maintain by a professional group? Hi! That was very helpful! And it shows me that I am on the right track. I am an illustrator who wants to sell my work as personalized prints..and having a fan page on Facebook helps me get my ideas out there and I can get feedback and tips on the way. It is also a great social interaction for someone like me who work alone in my studio. Love it! + need to get into Twitter as well even though it is not as huge here in Norway as in the states. No problem! I hope your facebook fanpage now has a clean and beautiful URL. Happy to help.